Actor-singer-television anchor Sai Prashanth commited suicide at his residence in Valasarawakkam in Chennai on Sunday night. He was 30 and is survived by parents and wife. His mother Lalitha Subhash is a BJP leader. Police, who recovered Prashanth’s body and sent it to Kilpauk Medical College Hospital for post mortem, said Sai Prashanth mixed poison in his drinks and consumed them. Police said the reason behind Prashanth’s suicide could be loneliness and depression. In his suicide note, released by the police on Monday, Prashanth said his second wife Sujitha or for that no one else should be blamed for his decision. He also said that his death would not create any problems for Sujitha and that his parents would return all her jewellery along with Rs.500,000. 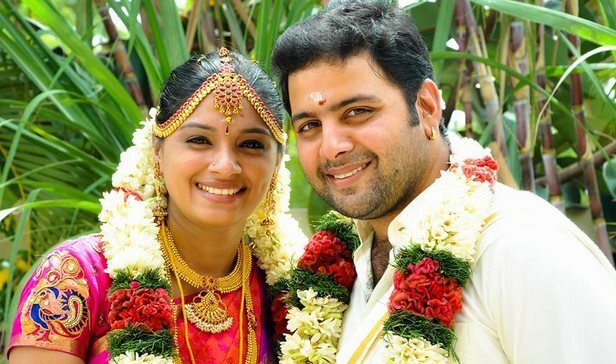 After divorcing his first wife, Prashanth remarried three months ago. In the suicide note, the actor also urged his wife to give up her anger and said he had been a good father to his daughter Rakshitha. He also wrote that he was a ‘problem’ for himself. In his letter, Prashanth thanked actress Radikaa Sarathkumar, with whom he worked in serials, and her company Radaan for their support. His death has shocked many in the cinema and television industries and they have expressed their deep condolences. Radikaa expressed shock over Prashant’s death. “So shocked and saddened to hear of actor Sai Prashanth’s death. What is it about life that you give up at this age?? Sad. Just finished work, but mind is disturbed,” she tweeted. Sai Prashanth began his career in entertainment as a video jockey. As a serial actor, he often played negative roles and collaborated for several ventures with Raadhika Sarathkumar’s productions. He has also acted in films including ‘Mundhinam Paartheney’ (2010), ‘Neram’ (2013) and ‘Thegidi’ (2014) in supporting roles. In ‘Vadacurry’ (2014), he appeared as the lead antagonist.